— Cut the calamari into 1 cm thick rings. In a bowl, combine calamari, milk, salt and pepper. Refrigerate for 30 minutes. 30 seconds or until golden. 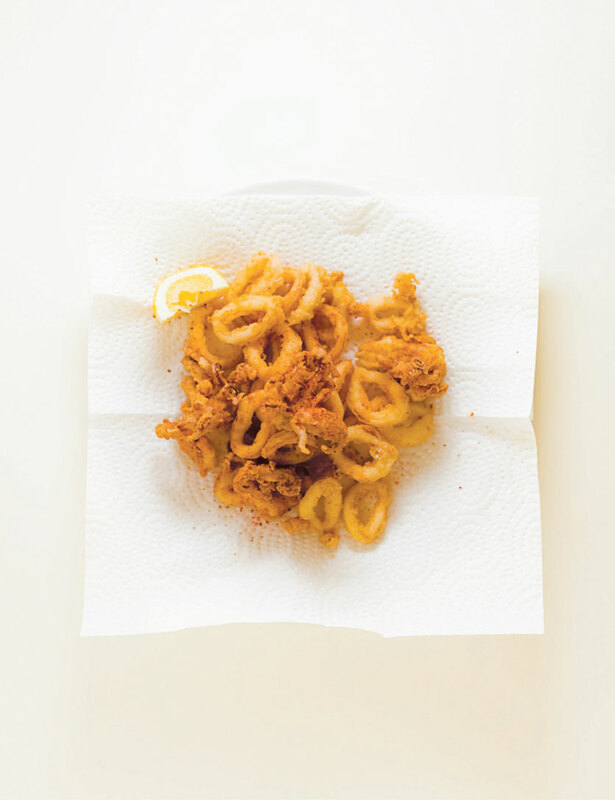 — Remove the calamari from the oil and immediately sprinkle with fleur de sel and Espelette pepper. FINALE — Serve at once with lemon wedges. TRICK — In season, cook whole small calamari on the BBQ, grilling just enough to sear them. Drizzle with parsley oil and fleur de sel. NOTE — I like to serve calamari with a sauce such as Effie’s tomato coulis or tzatziki.